Though today the 11th of September is now most widely known as the anniversary of a gruesome and senseless act of monstrous terrorism, I would like to recall a more personal anniversary that is far more positive and pleasant. It was thirty-four years ago now – Sunday 11 September 1977 – that the Cal Band’s “Class of `77″, as we in the University of California Marching Band style these things, started its first Fall Training Program, better known as “FTP.” This is not truly the day when we joined the Band – that lay a few days in the future after we had passed the audition process – but it was our first day with the Cal Band. When I got back to Deutsch Hall, I found that my sister Anne was waiting for me. She was driving from central Washington down to Southern California, and she stopped to have dinner with me. We ate at the Round Table Pizza on University, and she dropped me back at the dorm just in time to make the evening music rehearsal. 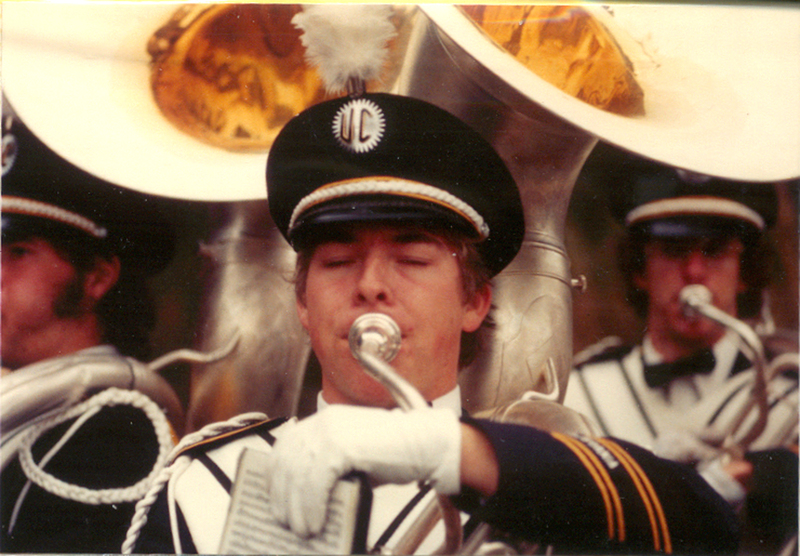 This entry was posted in Personal Musings and tagged Cal Band, Cal Band 1977, Cal Band FTP, Cal Band memoirs, FTP 1977, University of California Marching Band by Jamie Rawson. Bookmark the permalink.